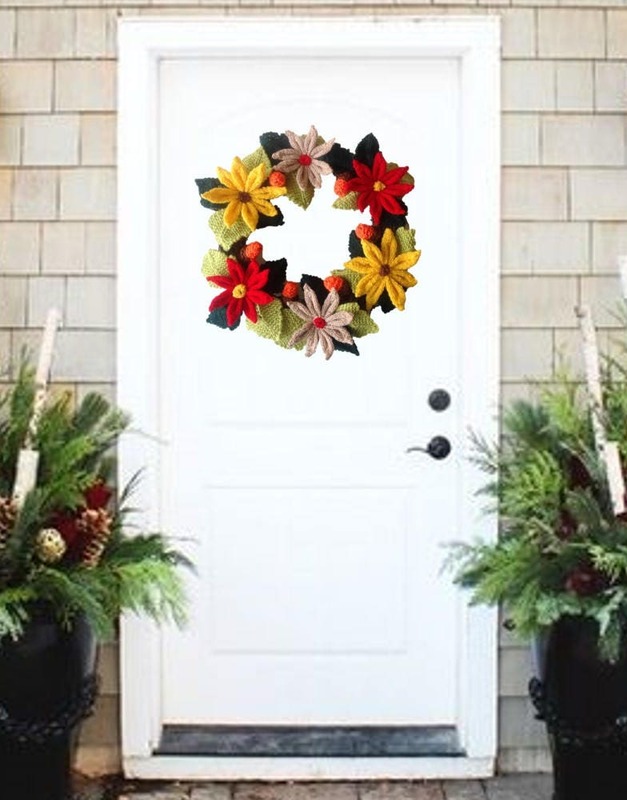 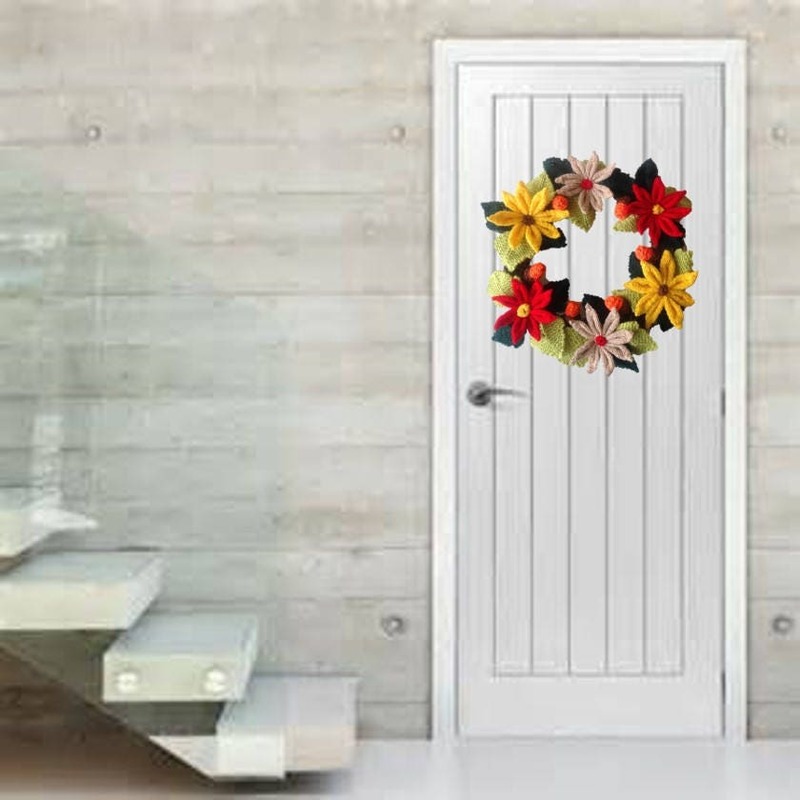 Greet Santa (and other festive visitors) with a Christmas door wreath. 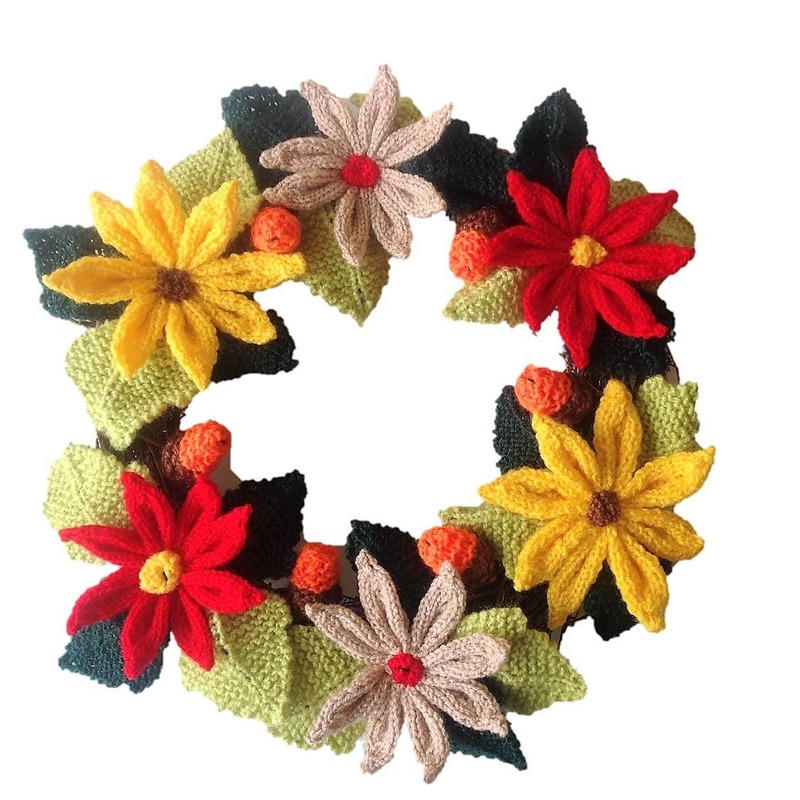 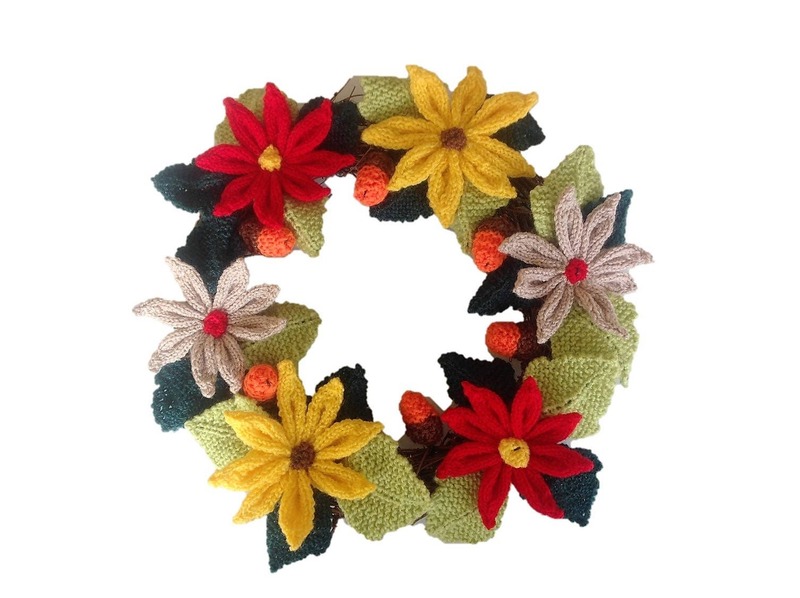 I hope you enjoy knitting this striking wreath for your front door to display over the Christmas period. 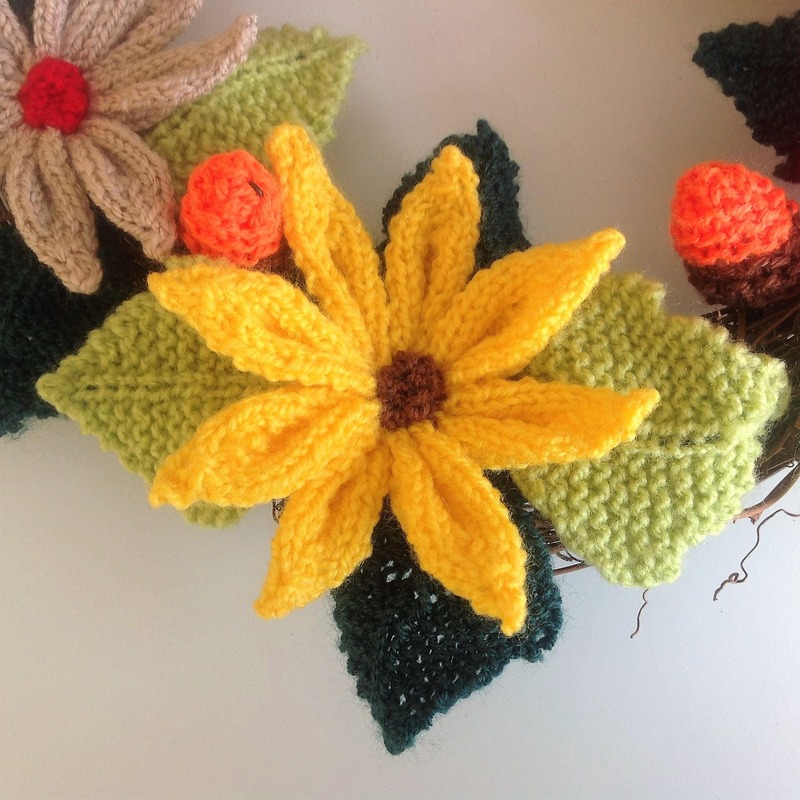 The pattern has instructions for knitting the flowers, acorns and leaves and how to wire them for the arrangement.